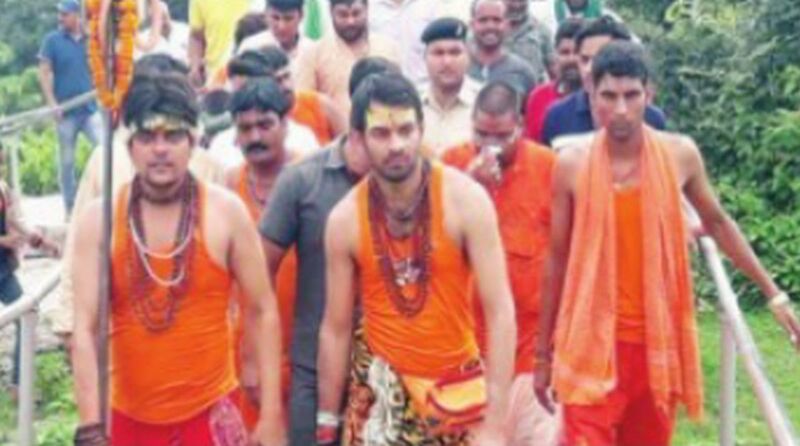 Typically dressed as Shiva, Tej Pratap set out on pilgrimage tour of Baidyanath Dham temple in Deoghar, Basukinath temple in Dumka district in Jharkhand and then Madhusudan temple in Banka district of Bihar. As RJD chief Lalu Prasad passes through possibly the toughest time of his life, battling multiple health complications, his elder son and former health minister, Tej Pratap Yadav, has set out on pilgrimage to seek blessings from Lord Shiva. Prasad who has been sentenced to jail in at least three fodder scam cases is currently recuperating at home after being granted bail by the court. Typically dressed as Shiva, Tej Pratap (SNS photo) set out on pilgrimage tour of Baidyanath Dham temple in Deoghar, Basukinath temple in Dumka district in Jharkhand and then Madhusudan temple in Banka district of Bihar. Strictly following all the rituals, he walked the entire stretch of 105 km on foot to get the maximum blessing from the deities. “I will seek blessings from Lord Shiva and pray for my father who is ailing,” was how Tej Pratap told the media before embarking on his pilgrimage tour. Lord Shiva gets a very important place in the life of Prasad who has gone on record how the God visited him in dream and advised him to quit non-vegetarian food while he was once lodged in Ranchi jail. According to his own admission, he instantly quit the nonveg food and much to his surprise was granted bail in the case. After some time, however, Prasad once again turned to non-vegetarian food. Although it’s not known if his latest round of troubles is the outcome of his move to defy Shiva’s order, his son’s pilgrimage tour of Shiva’s abode speaks volumes about this. Local residents and devotees were literally amused when they found Prasad’s son covering his body with saffron clothes having imprints of tiger’s skin, rudraksh garlands around his neck and long sandal marks on his forehead ~ typically reminding the dressing of Shiva. 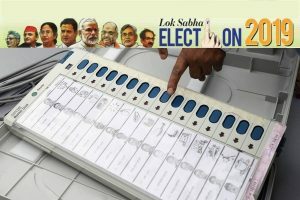 The move indeed appears curious given the fact that he happens to be an ardent devotee of Lord Krishna and has been frequenting to Vrindavan to pay obeisance to Krishna.